For getting in shape, there are few exercises that can compete with bicycling. Not only does riding a bike offer you a great way to work out, but it also provides you with a sense of freedom. 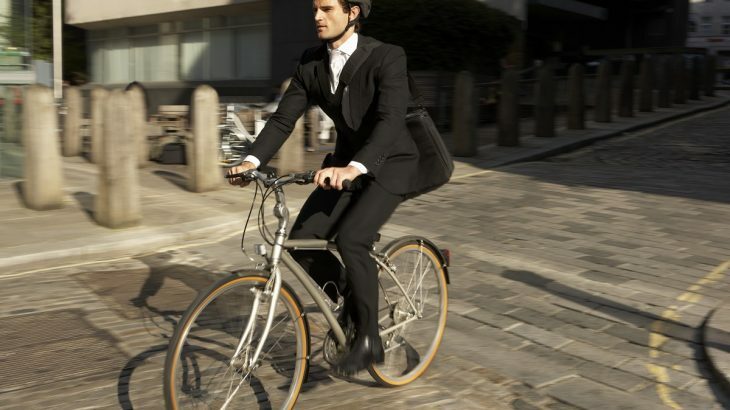 Cycling to work is an easy way to add exercise to your day, and it could save you time depending on your commute! Here are eight health benefits that you can take advantage of when you engage in cycling. Cycling is a cardiovascular, aerobic workout. By continuously moving and getting your heart rate up, you’re burning calories, which can lead to lower weight when combined with the right diet. If you want to tighten and build up your glutes, cycling can do that for you. It also can tone your thighs and calves. Building muscle helps you burn more calories even when you’re done exercising. Because of its cardiovascular aspects, cycling improves lung health. You breathe more efficiently, which will make other activities easier. In traffic, cyclists breathe in less pollution than walkers, drivers, or people on a bus according to a 2014 study by Health Air Campaign, Kings College London, and Camden Council. Getting your heart to pump faster through cycling creates a healthier heart, and by burning calories and getting to a healthy weight, you cut down the work your heart has to do all day. Cycling reduces your risk factors for heart disease. In the same way that cycling can reduce the risk of heart disease, it also can reduce the risk of cancer. According to a study done in Glasgow in 2017, cycling could cut your cancer risk in half! Cycling is a low-impact workout. It places little to no stress on your joints. When compared to runners, cyclists experience fewer exercise-related injuries. Cycling leads to improved sleep patterns. When you sleep well, you are less likely to become ill. It also helps you improve the health of the upper respiratory system, which helps prevent susceptibility to common colds. Some studies have suggested that exercise improves immune system response. Cycling helps reduce stress. These are just some of the factors involved in how cycling improves your immune system. Riding alone gives you the option to work out problems or focus on the ride without thinking about anything. When taken as a class and done with others, cycling can lead to developing a broader support network. This leads to better mental health. If you don’t have a bicycle and want to try cycling, Mountainside Fitness offers a variety of spinning exercise classes near Phoenix, AZ, including Studio Cycle and Sport Cycle. If you’re interested in trying one of these group exercise classes in Phoenix, AZ, visit Mountainside Fitness to take advantage of our five-day trial period. Our facilities are family friendly and offer parents the opportunity to work out while their children are entertained in our movie and playrooms. Come see us and experience the difference our family fitness centers offer.